Gossiping is such an easy habit to fall into, we often don’t even realize we’re doing it. We start out saying something benign, and then the other person may make a comment that initiates a full-blown discussion. The brief comment may wind up taking on a life of its own and turn into something that isn’t 100 percent factual. 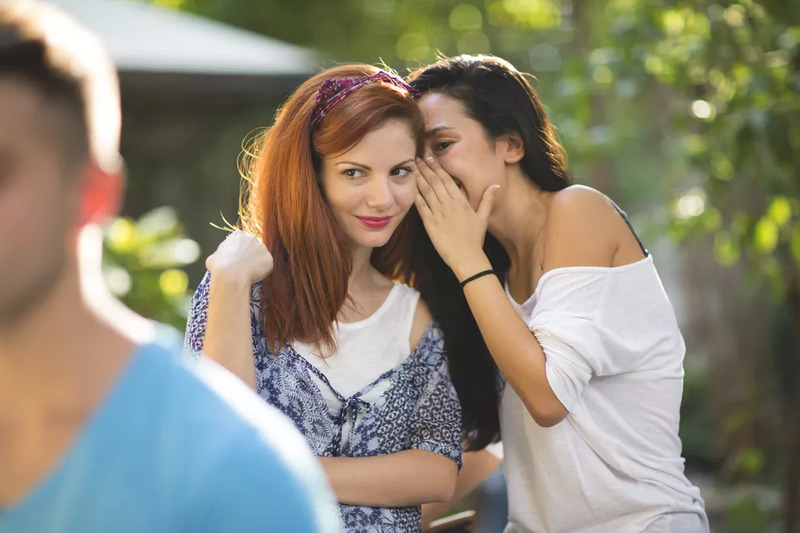 There are many different forms of office gossip, and all of them can hurt you if what you say gets back to the subject. Whether it’s the boss you’re talking about or the person in another department, your words can sting you in the backside in the future. Let’s say your boss has called you out on a mistake, and you’re angry, so you storm back to your desk and spew the first negative thing about your supervisor that comes to mind. Whether or not it is true, this is another way gossip gets started. Perhaps someone has overheard part of a coworker’s personal phone conversationand picks up some tidbits that are too juicy not to share. First of all, this was supposed to be a private conversation, so the person most likely doesn’t want everyone in the office to know. Secondly, only one side of the conversation was heard, so the gossip probably isn’t completely true. Another thing that you may discover is that many offices have cliques. One group likes to party on Friday nights after work, and they provide tons of material for the next week’s water cooler gossip sessions. Another group is quiet, and the mystery that surrounds them leads others to chatter with “what ifs” and speculate what they think may be going on. Or another person is having trouble at home, and people come up with all sorts of things that might be happening. Before you know it, the discussion is out of control, and the gossip mill is running full throttle. Whether you are in school or you graduated decades ago, you probably remember how quickly rumors can spread through a school. People may assume someone cheated on an exam because she was always a C student but made an A. Perhaps someone partied a little too much the weekend before and might have done something that provides hours of conversation. Whether the rumor is true or false, once it starts spreading, it’s like a freight train that is difficult to stop. It may start out with jeers and jokes, but gossip at school can ruin reputations. When you are tempted to gossip, stop and think for a few seconds. Consider how it would feel if you were the subject of whatever it is you’re about to say. Remember that it is never okay to say anything that isn’t true, but even if it is factual, what is the benefit? Chances are, there are no benefits, unless you need to warn someone about impending danger. If that’s the case, take the comment to the proper authorities who can actually do something about it. Don’t whisper in the presence of others. Even if you’re not talking about someone, it appears that you are and may hurt the feelings of people around you. Defend the subject. Even if what is being said is true, defend the person in the most logical way possible. If you know that the gossip is a lie, call it that. If there is a grain of truth or you’re not sure, say that you don’t know the circumstances behind whatever it is being said, and you don’t want to continue with this discussion.